CIROC, SEAN JOHN, Zacapa Rum, VYB-X, Land Rover, Cox Communications, and Play Golf Designs, alongside the support of many others, make the inaugural invitational a success. The inaugural Las Vegas luxe event, The Coach Woodson Las Vegas Invitational, began its three-day affair with a series of festivities that started Sunday, July 20, with appearances by several of Coach Michael Woodson’s close friends, including comedian and Food Network TV host, Anthony Anderson; Assistant Coach of the Cleveland Cavaliers, Tyronn Lue; R&B recording artist, Brian McKnight; ESPN SportsCenter anchor, Jay Harris; professional golfer and fashionista, Seema Sadekar; NBA legends Herb Williams and Reggie Theus; former basketball player, Wayne Radford; saxophonists Mike Phillips and Paul Taylor; as well as former American football stars Jonathan Ogden, Bret Lockett, and Dale Moss. Woodson’s wife, Terri, and daughters Alexis Woodson and Mariah Woodson, showed their love and support throughout the three-day event. Leaders in sports, music, and entertainment congregated to benefit Nations of Coaches, a 501(c)(3) nonprofit organization. The event began with a private opening dinner presented by Zacapa Rum and hope & grace wines at Alize Restaurant atop the Palms Casino Resort on Sunday night. On Monday, the event continued with a sponsored gifting suite followed by the official CIROC Celebrity Welcome Party at Mandarin Oriental, Las Vegas where guests were entertained by a live performance by Brian McKnight. 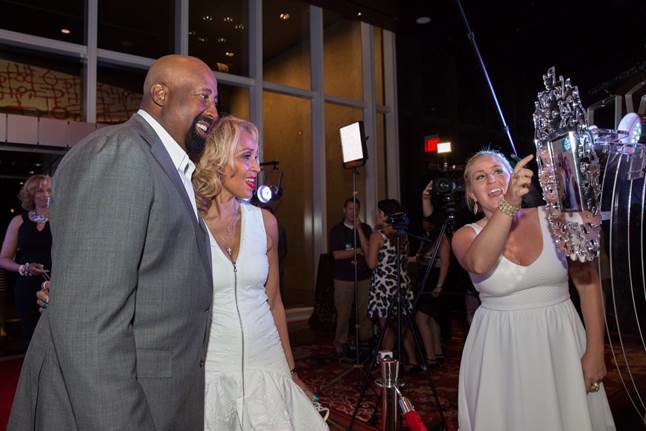 The Twitter Mirror added a touch of whimsy as guests, celebrities, Coach Woodson, and his wife tweeted selfies and messages from @CoachWoodsonInv using #CWLVI. Guests were in awe as Coach Woodson’s daughters, Alexis and Mariah, arrived looking stylish in their colorful cocktail dresses. The assistant coach of the Sacramento Kings, Dee Brown, crashed the red carpet with the 2014 Summer League Championship Trophy; it was a great surprise to all. On the final day of the celebrity get-together, the athletes and Hollywood stars arrived at Southern Highlands Golf Club bright and early for an 8 a.m. shotgun start. 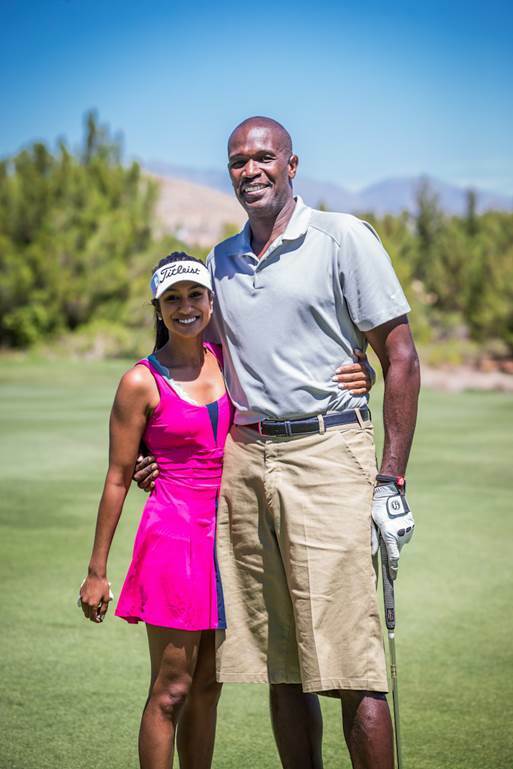 Recognized by LPGA as “the most stylish and flamboyant player on tour,” Seema Sadekar conquered 18 holes of golf playing alongside Herb Williams. The young golf goddess even encouraged saxophonist Paul Taylor to just have fun, as the tournament was his first time playing golf. Comedian and host of Food Network’s “Food Fest Nation,” Anthony Anderson, initiated a game of Twister with his teammates and shouted, “Right hand on red!” which caused the tangled golfers to laugh and collapse. The golf, fashion and entertainment soiree was the first of its kind. 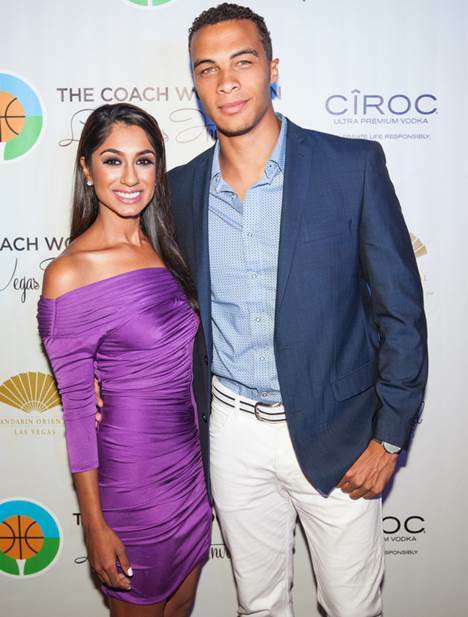 Throughout the three-day event, guests of The Coach Woodson Las Vegas Invitational relaxed at Mandarin Oriental, Las Vegas on behalf of CWLVI partners CIROC, SEAN JOHN, VYB-X, Zacapa Rum, and Cox Communications. Additional sponsors included Land Rover of Las Vegas, DAVIS & Associates, Inc., Sprite, Perrier, hope & grace Wines, Sirius XM NBA Radio, IMPACT Basketball, CareerBuilder.com, The Upper Deck Company, and Macallan. CWLVI gifting and products were generously provided by Sugar Factory, Las Vegas Golf & Leisure, TRUE Linkswear, Urban Aid, Lash Out, Las Vegas Golf & Tennis Superstore, Sock it to me, Bonjoc Ball Markers, Real Gear, STEIGEN, Leg Skinz, Magnifico Champagne, and Luxury Lites. For more information, visit http://www.CoachWoodsonInvitational.com. The Coach Woodson Las Vegas Invitational will be the only summer golf event in Las Vegas where influential sports figures and celebrities congregate. Founded by the former NBA player and head coach of the New York Knicks, Mike Woodson lives with the mission to give back to the community through sports and friendship. All for a good cause, The Coach Woodson Las Vegas Invitational celebrates the world of basketball, while showcasing the best of golf, fashion, and entertainment. For more information, visit http://www.CoachWoodsonInvitational.com, like on Facebook, http://www.Facebook.com/COACHWOODSONinv or tweet @COACHWOODSONinv.